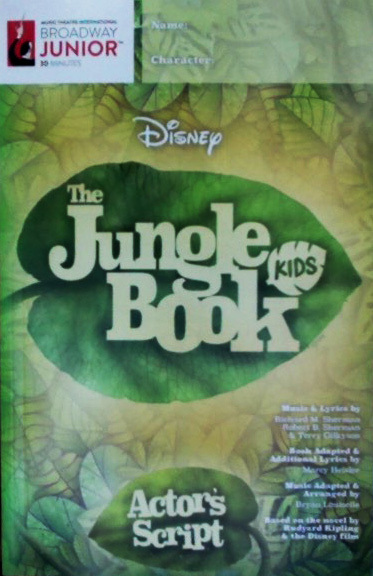 SAAC’s youth theatre program will present Disney’s The Jungle Book KIDS as its spring production. The show is slated to run March 31 and April 1. Auditions are planned for Monday, January 23 and Tuesday, January 24 at 6:00 pm. Look at the bottom of this page for links to download audition material. The high-energy 30-minute musical, designed for school-aged performers grades 2 through 12, is based on the classic Rudyard Kipling novel and the beloved 1967 Disney film. The jungle is jumpin’ with jazz in this exciting adaptation of the classic Disney animated feature The Jungle Book. Join Mowgli, Baloo, King Louie and the gang as they swing their way through madcap adventures and thwart the ferocious tiger, Shere Khan. Adapted especially for young performers, this musical includes favorite Disney songs including “The Bare Necessities” and “I Wanna Be like You.” With colorful characters and that toe-tapping jungle rhythm, Disney’s The Jungle Book KIDS is sure to be a crowd-pleaser for all ages. Shelton Harden, education coordinator at SAAC, will direct this fun family musical. Harden, a well-known lifelong veteran of stage and music theater, teaches children’s drama classes at SAAC. Most recently Harden directed two children’s Christmas productions for the SAAC stage. 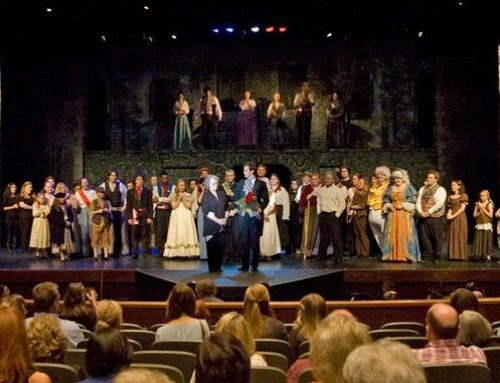 Last spring, he directed the youth theatre program Disney’s 101 Dalmatians KIDS. Harden requests that students plan to be on hand for both nights of auditions and is planning rehearsals for twice a week after school. More information about auditions will be forthcoming. Disney’s The Jungle Book KIDS is sponsored by El Dorado Kiwanis Club, with additional funding by Entergy. It is presented through special arrangement with Music Theatre International. Fill out an audition form and review the rehearsal schedule. Parents and children should plan to be at SAAC for auditions by 6pm on both Monday and Tuesday, January 23 and 24. Everyone will be taught a song and some simple dance steps. Wear appropriate footwear and be prepared to move. Three songs will be used in auditions; Bare Necessities, Prologue, and Wanna Be Like You. We will teach the songs at the audition. For those that want to listen to and learn the songs before arriving for the audition follow the links below. Those wishing to be considered for a Primary Storyteller role will be asked to read at auditions – no preparation required.